Ahmad Izz Halaweh, the main suspect in a shooting by several gunmen onThursday which left two Palestinian policemen dead, was arrested during predawn raids in the Old City of Nablus in the northern occupied West Bank. He was taken to the Juneid security compound, where he was attacked and severely beaten by security officers. The Governor of Nablus, Akram Rujoub, later pronounced him dead. A graphic photo shared on social media of Halaweh after the brutal attack showed his face, neck, and shoulders severely bruised and swollen. 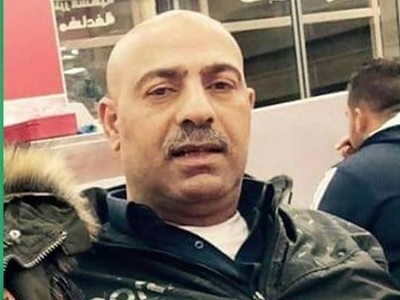 Halaweh, reportedly the most prominent Nablus-area leader of Fatah’s military wing, the Al-Aqsa Martyrs Brigade, was the third civilian to be killed by Palestinian security officers, following Thursday’s shooting. Meanwhile, in a statement in Arabic on their website, the left-wing PFLP also denounced Palestinian security forces’ “extrajudicial execution” of Halaweh, calling for a fact-finding commission tasked with the investigation. 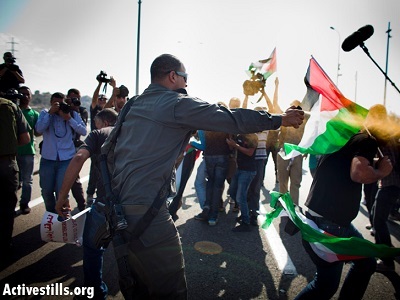 Palestinians and social media commentators also reacted with outrage, and residents of Nablus took to the streets to protest the savage beating, though the demonstration was promptly dispersed by Palestinian security forces. 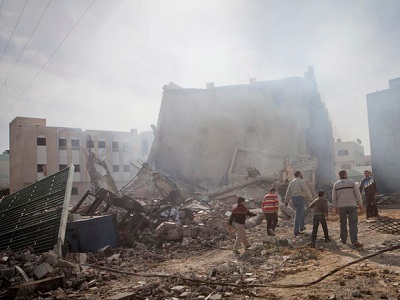 Palestinian institutions in Nablus declared Tuesday a day of mourning for Halaweh, while many Palestinian institutions and official figures held a meeting at the Nablus municipality building to formulate a committee to investigate the circumstances of the death.